A wide-ranging and evocative portrait of Scotland's distilleries, with text by renowned whisky expert Charles MacLean and photographs by Lara Platman and Alan MacDonald. Treating Scotland as eight distinct regions, this fascinating book describes the 'cultural terroir' of the country's fifty greatest distilleries; the ingredients, practices and traditions that result in such an exquisite range of whiskies. Specially commissioned photographs capture the texture of the surrounding landscapes and communities through the changing seasons, as well as portraits of those craftsmen who work there, and the fabric of the buildings themselves. 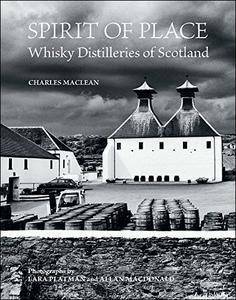 Spirit of Place is a unique addition to the literature on Scotch whisky, from the world's greatest expert on the subject. The perfect gift for anyone planning a tour of Scotland's distilleries, a souvenir for anyone who has visited them, and simply the perfect companion to a dram at home.